Bada Shanren (ca. 1602-1805), a Chinese artist born during Ming Dynasty (1368-1644) and lived through Qing Dynasty (1644-1912). Originally named Zu Da (the noble family name of Ming Dynasty), he was forced to become a monk and change his name to Bada Shanren when Qing regime ruled China, because of his former noble identity. 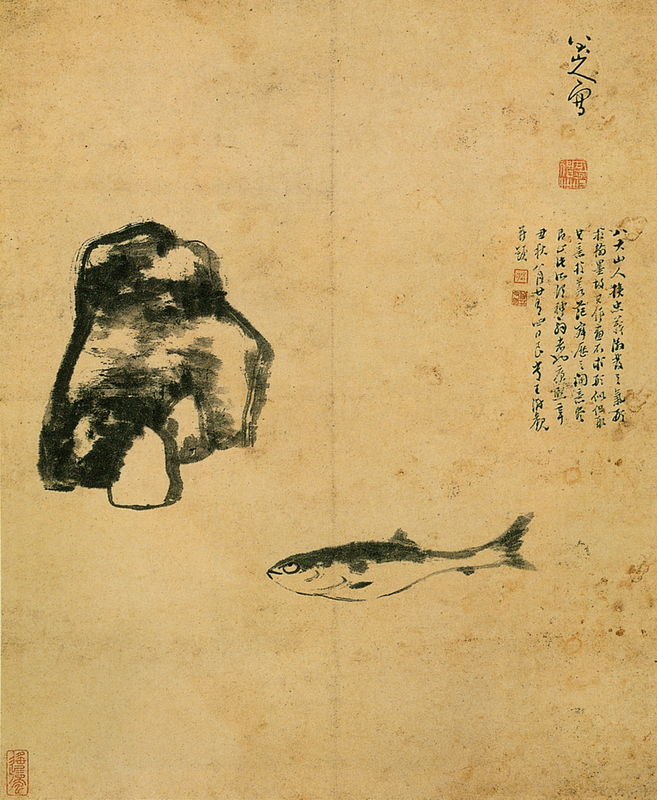 Although being monitored and suppressed, he expressed not only his artistic idea but also his loyalty to Ming through a silent yet powerful media—art. His calligraphy and paintings reveal his uncompromising passion, as well as his persistent personality. What he achieved is to surmount the stylistic tradition of both ink-water painting and calligraphy, establishing a discernible, personal spirit in his works. When admiring the animal paintings by Bada Shanren, I am particularly fascinated by their eyes, and “hear” the sound out of the drawing. This was the moment I came up with this project—to “sculpt” the sound inspired me, to a music piece. The musical instruments ring from the artwork is a Chinese flute, a cello, and piano. This new piece contains two movements. 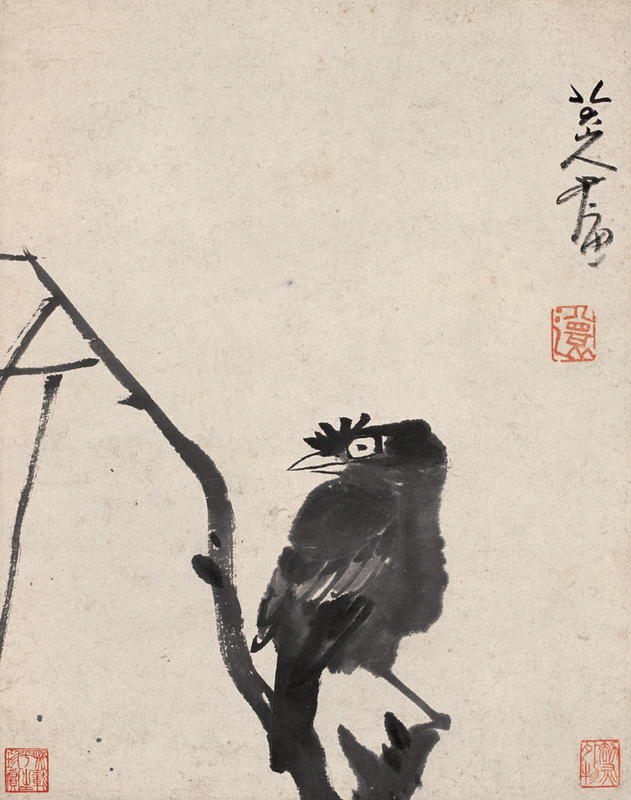 The first one features the “stubborn eyes” of the animals (birds, fish, and cats) in Bada Shanren’s work. 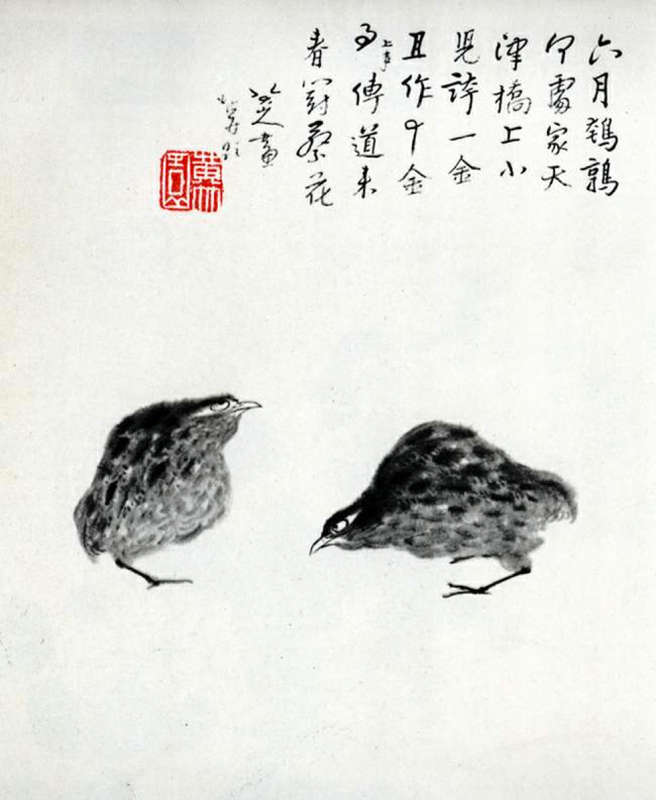 The second movement imitates the unique ink wash painting and calligraphy by Bada Shanren. Deprived of all noble privilege and the right to speak he had once owned, Bada Sharen turned to the art, bearing all that he suffered and painting with irresistible passion. I’d like to use the combined music gesture and timbre to represent the dots, lines, sparse and density in his work–more importantly, to reveal his uniqueness and sincerity of his artistic achievements. During the composition process of this work, I will work on the “intertextuality” of the music instruments coming from the different cultural background, which presents a significant issue in my dissertation. If I am able to use a second language, why can’t I design a second language on a musical instrument? When two people with two different mother tongue speak a mutual language, the conversation is possible to roll. Therefore, there must be some way to bring these instruments together and trigger an interesting dialog on a platform, which represents my primary compositional focus and ultimate goal.